Please be mindful that there is limited space in the auditorium when planning your visit. The science test is based on the grade 7 and 8 science/technology curriculum and the math test is based on the grade 7 and 8 math curriculum (see below). The MaST entrance test serves as a gauge of the applicants' ability. There is no need to prepare or study as we will be testing prior knowledge, but we strongly recommend students get a good rest before they write the test. Both tests are Multiple Choice. Please refer to the links below for information on the Ontario curriculum for a more detailed description. Current and former MaST students speak about their experiences in our program! Former MaST students get a deal on Dragon's Den! Frank Nguyen and Andre Bertram(both MaST graduates 2015) appeared on Dragon's Den on October 19th looking for $100 000 of funding and to partner with one or more Dragon's on their invention, the HeartWatch. 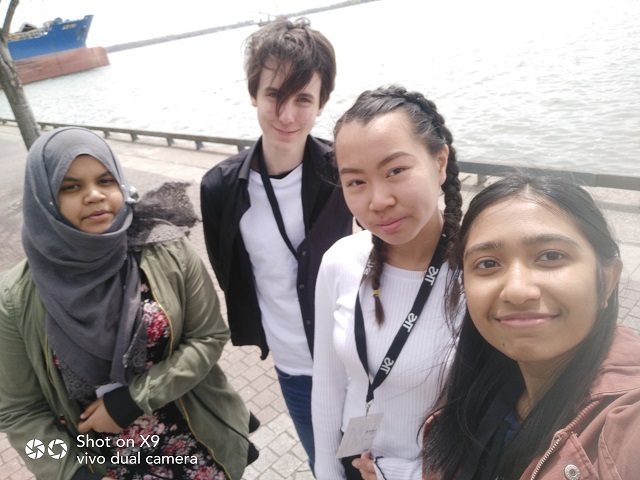 Danforth students; Rosmeeah, Mikhail, Lana and Subha attended the TKSummit last weekend on Toronto’s waterfront. MaST is an intensive, specialized 4-year program in Mathematics, Science and Technology. 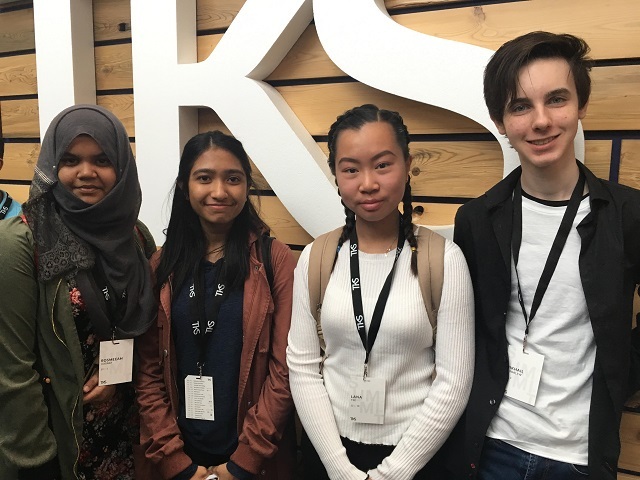 This Enriched program will allow students with strengths and goals in these areas to learn in an environment conducive to exploring and expanding their high school experience.